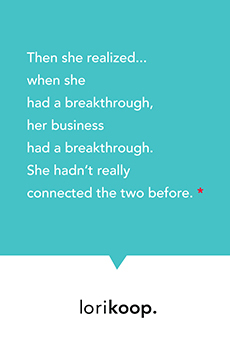 Then she realized… when she had a breakthrough, her business also had a breakthrough. She really hadn’t connected the two before. * . . . . . . . . Is it time to celebrate? 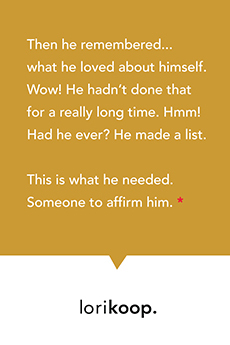 Then he remembered… what he loved about himself. Wow! 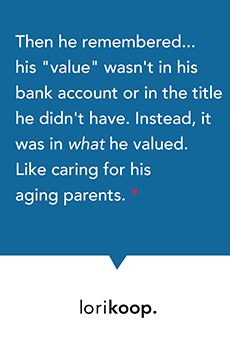 He hadn’t done that for a really long time. Hmm! Had he ever? He made a list. This is what he needed. Someone to affirm him. * . . . . . . . . Could you use a lil affirming? 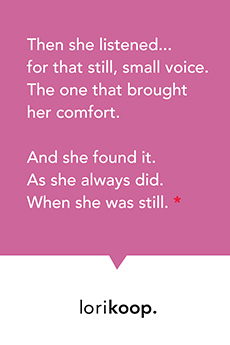 Then she listened… for that still, small voice. The one that brought her comfort. And she found it. As she always did. When she was still. * . . . . . . . . Do you hear it? 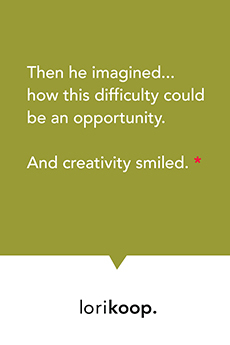 Then he imagined… how this difficulty could be an opportunity. And creativity smiled. * . . . . . . . . Where is creativity waiting for you? 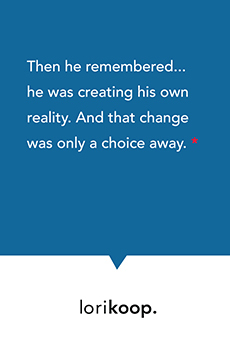 Then he remembered… he was creating his own reality. And that any change was only a choice away. * . . . . . . . . Why do we forget our power so easily? It’s good to have friends who remind us. 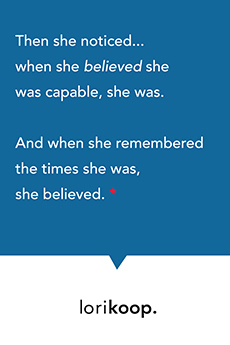 Then she noticed… when she believed she was capable, she was. And when she remembered the times she was, she believed. * . . . . . . . . It’s funny how this works. But it does! It’s like no matter what you believe, you’re right.